My hubby automatically gives me the task of deciding where to eat. 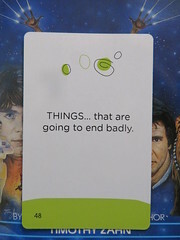 Ugh, I dread this question everytime my family and I are out. So many restaurants come into my mind that I can’t decide on one. We just came from the Industrial Area to get our car fixed. Dar Al Salam came into mind as it was on our way back. But which restaurant? Then I distinctly remembered seeing Moon Marina, a restaurant offering a mix of Qatari and international dishes, which opened last year and I’ve yet to visit. So there, we went. With all the breakthrough of different cuisines here in Qatar, it’s nice to see that there are establishments who are promoting the Qatari way of cooking. 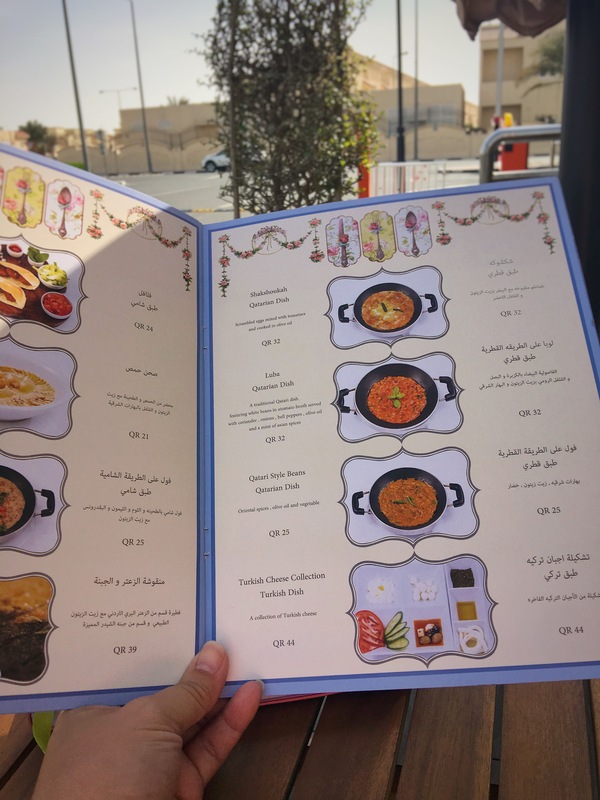 What was once an obscure cuisine in its own country and can mostly be found at homes, Qatari cuisine is now slowly making itself known to expats and tourists alike. The inside of the place is simple with clean designs and pastel colored chairs to contrast the stark white walls. Wasn’t able to take any pictures as we sat outside. Their outside seating is quite unique. Wooden furnitures with umbrellas, wooden flooring and wooden pots. How many times did I say wooden? The only drawback to the place is that the outside sitting is directly facing the parking area. For those of you who haven’t tried it yet, shakshuka is just eggs cooked with spicy tomatoes/tomato sauce. The style of cooking eggs varies from one country to another; some have theirs scrambled, some fried. This one was fried eggs with stir-fried tomatoes and chili. It was okay, nothing that you can’t do at home. Now, this was good. They used white beans and cooked it in tomatoes with capsicum and spices and chilis. It warmed our cold hearts. This is now my second favorite place for falafel (the first one will be for another post, hehe). It’s hard to find good falafel in Qatar even if 99% of the restaurants here sell them. And I liked MM’s deconstructed way of serving it. It’s very empowering. They were a bit slow. The staff were very friendly but overloaded. I’ve only seen about three of them serving at least twenty people. Approximately QR120 for two people. Servings are on the small side but can still be shared, only if you’re willing to. Can’t find the receipt but I’m pretty sure we didn’t pay more than QR150, including two cappuccino. You should be titled the master of finding new quirky to dine at. Most of reviews are about places, people don’t event know about. Added to my to go list! Never heard of this place before. Mr. M might love this place. Trying it!